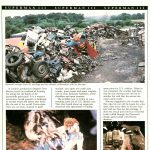 Superman might seem like the archetypal superhero but his story is probably the most unique of the popular superheroes. Some have even called Superman the original American myth. American Jerry Siegel and Toronto-born Joe Shuster spent years trying to get their “superman” idea off the ground. Superman was originally an evil lunatic with telepathic power that he used to torment. After Siegel suggested they make Superman a good guy, the two quickly found success with their then unprecedented idea of a superhero. 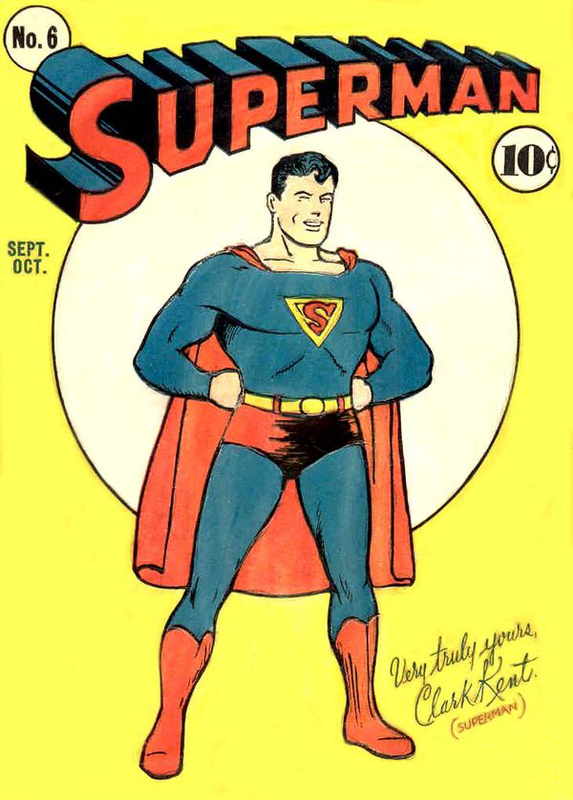 The first issue of Superman came out in 1938 (see image below) and cost 10 cents — about $1.64 today. 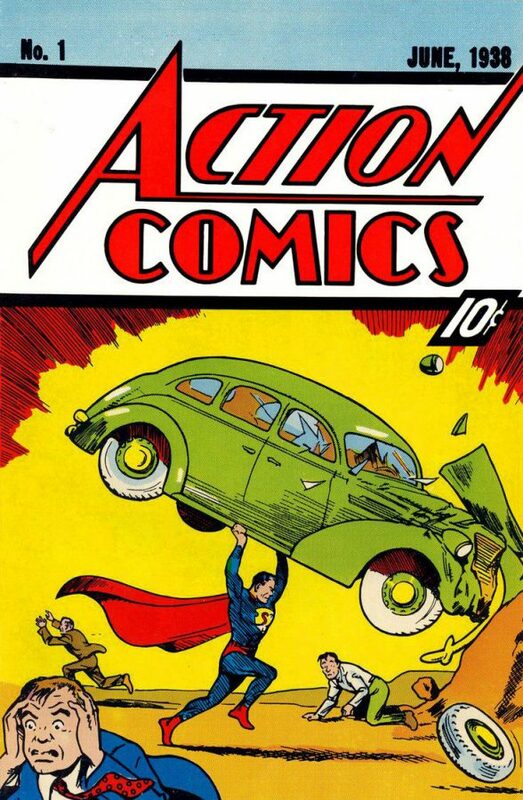 Superman’s first appearance was in Action Comics #1 — an original copy of the comic book went for $3.2 million on eBay in 2014. 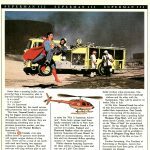 The instant success of the first Superman comic was such that it launched what historians have called a Golden Age of comic books. 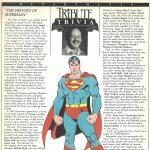 Superman’s success convinced Action Comics‘ publisher, Detective Comics, to focus all its efforts on superheroes and become what everybody knows today as DC Comics. 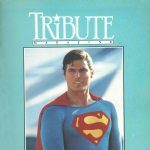 What makes Superman unique is that he’s an alien who comes to Earth and assumes a human alter-ego. Spider-Man is really Peter Parker, Iron Man is really Tony Stark, but Superman is Kal-El from the planet Krypton. As Quentin Tarantino brilliantly told us in Kill Bill: Vol. 2, Superman assumes the identity of mild-mannered Clark Kent in an attempt to fit in with the rest of humanity. Clark Kent is Kal-El’s commentary on the human species. Kal-El was born on the planet Krypton to Jor-El and Lara (Kryptonian women go by their first name once they’re married). Krypton was on the brink of self-destruction, but Jor-El devised an escape rocket to take the young Kal-El to Earth. Kal-El is discovered by Jonathan and Martha Kent, who adopt the baby and name him Clark — Martha’s maiden name. Clark Kent grows up to be a journalist and works at the Daily Planet in the city of Metropolis (this was clever in the ’30s). It is there that Clark falls in love with Lois Lane, a fellow journalist. The irony is that Lois Lane rejects Clark, but falls in love with Superman after being rescued by him time and time again. The sun gives Kryptonians super powers when they’re on Earth. This makes Superman (say it with me now) “Faster than a speeding bullet! More powerful than a locomotive! Able to leap tall buildings in a single bound!” Superman also has the power of flight, x-ray vision, and heat vision. The only way to stop him is with Kryptonite, an element native to Krypton. This radioactive rock is what caused the destruction of Krypton. Kryponite weakens Superman’s powers because his powers come from the Earth (the weaker gravity as compared to Krypton, and the Earth’s sun), and Kryptonite is not of the Earth. 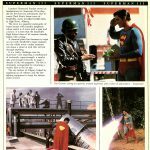 Not only was Superman the first successful superhero comic, in 1978 Superman became the first successful superhero movie of our time. The movie was the most expensive film ever made (up to that point) with a budget of $55 million, which equals roughly $209 million today. 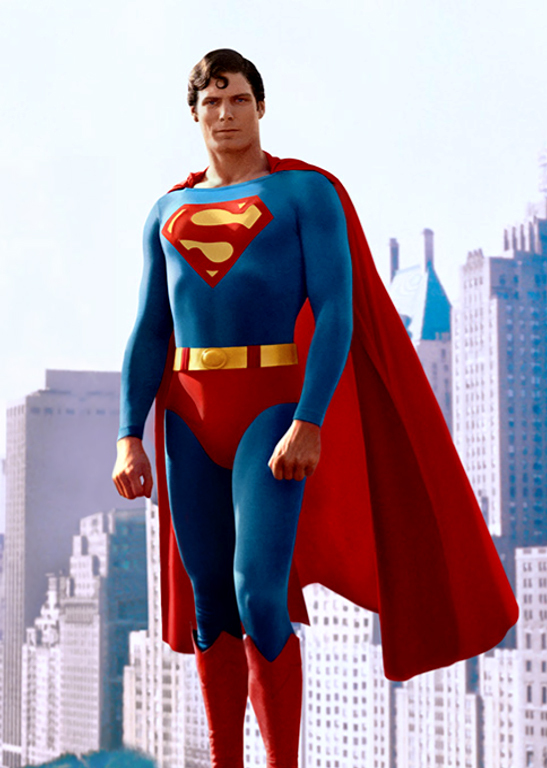 Christopher Reeve‘s acting and the production values were universally praised and for many fans, Reeve is the quintessential and most-beloved Superman. 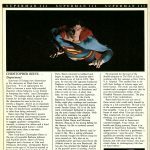 The film also added the Superman mythology. 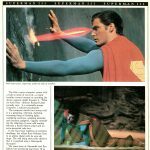 The “S” on Superman’s chest was revealed to be the coat of arms for the House of El on Krypton, as opposed to simply standing for “Superman.” The seriousness with which the material was handled enchanted a generation, and garnered the film three Academy Award nominations. 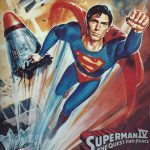 The success of Superman spawned three sequels, with Superman IV: The Quest For Peace largely considered the worst. 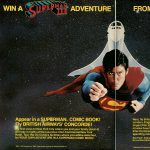 The poor direction, writing and special effects of Superman IV made major studios wary of another Superman film. 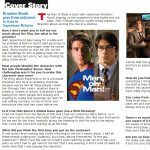 It wasn’t until 2006, after the success of other superhero films, that Superman Returns, starring newcomer Brandon Routh in the lead role, was released. 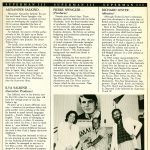 Check out the casting announcement that appeared in Teen Tribute (at right). 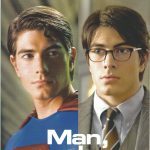 Superman Returns was intended to be a homage/sequel to the Christopher Reeve films of the ’70s and ’80s. 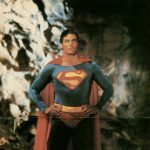 Critics (and audiences) didn’t hate Superman Returns — it received a fairly decent 75 percent fresh rating at Rotten Tomatoes — but it didn’t do as well at the box office as studio execs had hoped (even though it received an Oscar nomination for Best Visual Effects), and a planned sequel was scrapped. 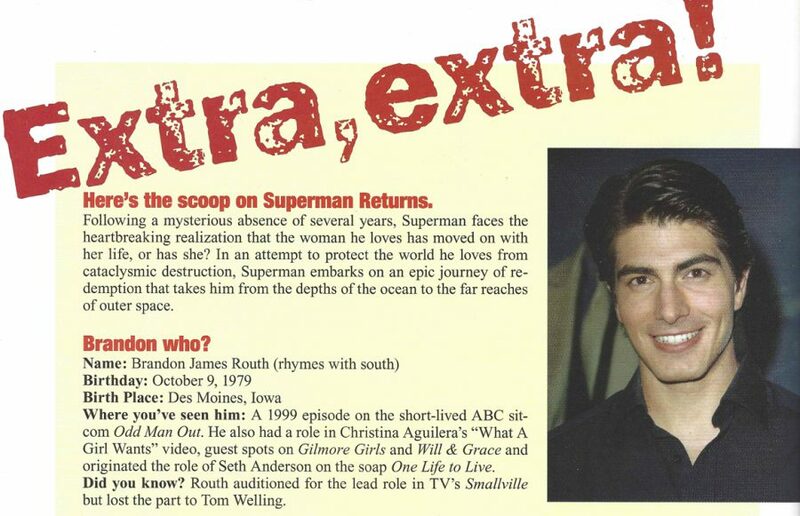 Ironically, Routh went on to play another DC superhero — Ray Palmer / The Atom — on TV shows such as Arrow and Legends of Tomorrow. Superman was rebooted in the first film in the DC cinematic universe in 2013’s Man of Steel. 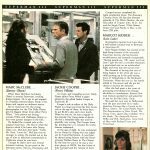 The film split critics and audiences right down the middle. Director Zack Snyder‘s decision to tell the story out of order; the rampant destruction of Metropolis; and Superman’s controversial decision at the end of the film polarized moviegoers, but Man of Steel was still a box office success. 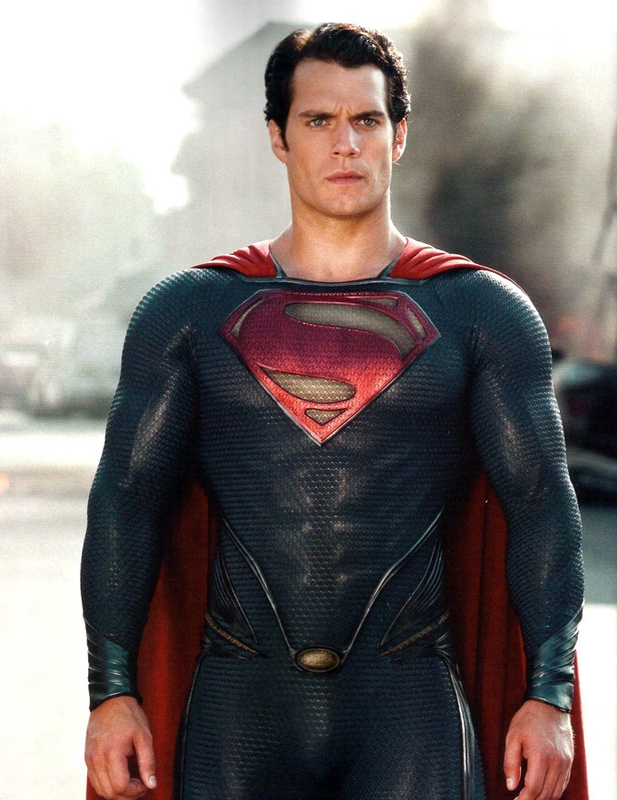 Most audiences agreed that Henry Cavill was an ideal physical representation of Superman and that casting him had been a good choice. Cavill reprised his role in 2016’s Batman v Superman: Dawn of Justice. 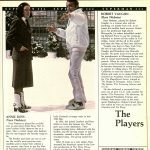 The returns at the box office made it a financial success, even if critics gave it negative reviews (it earned a rotten rating of 27 percent at Rotten Tomatoes, though audiences gave it 63 percent fresh). Superman has gone through a lot of ups and downs, but his status as an American icon will always remain secure. The word “superman” is part of the American cultural lexicon. Superman was the first comic book superhero, and the first superhero on the big screen. People never forget their first loves. Movie fans can see Superman in the upcoming Justice League when it hits theaters November 17, 2017. Ranking the SUPERMAN movies: 1. 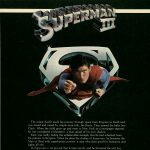 SUPERMAN – THE MOVIE 2. 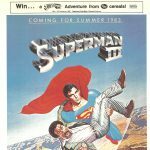 SUPERMAN II 3. 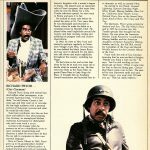 SUPERMAN III Rating any more of them would be pointless. I have an old picture (luckily in colour as it was one of my earliest birthdays and i’m 40 now, so it was back in ’79 or ’80) of my so excited to have a Superman cake. Since then it seemed it was a tradition to get me a Superman themed gift throughout my life. At one point I got upset with that. I felt I was not the one who started this! Then I realized I would always catch myself watching the original Superman movie at least a few times a year and always in awe ofChristopher Reeve’s portrayal. I would always wonder what it’d be like to have his powers, rescuing people and having girls go crazy over you. Not to mention your wicked superhero best friends (Yes I LOVED Saturday mornings watching SuperFriends as well). Of course, I got the tattoo of the Superman symbol later on. I try to live my life respecting others, I even went to college to be a police officer because I felt that was as close as I could get to actually being a superhero and putting away criminals and helping kids and adults in need. I’m 40 now and yes the recent movies had their flaws, but with one silly idea (of a guy in a cape who can leap over buildings and he was really strong), the world did change. People say comic book heros are the new ‘Gods’ and maybe they are right. I do believe there is good in the world and evil as well. And I chose the side of good and helping others and doing charity work etc and I think it all stemmed from one birthday having a really wicked Superman cake. The symbol stuck in my head and there’s no turning back.